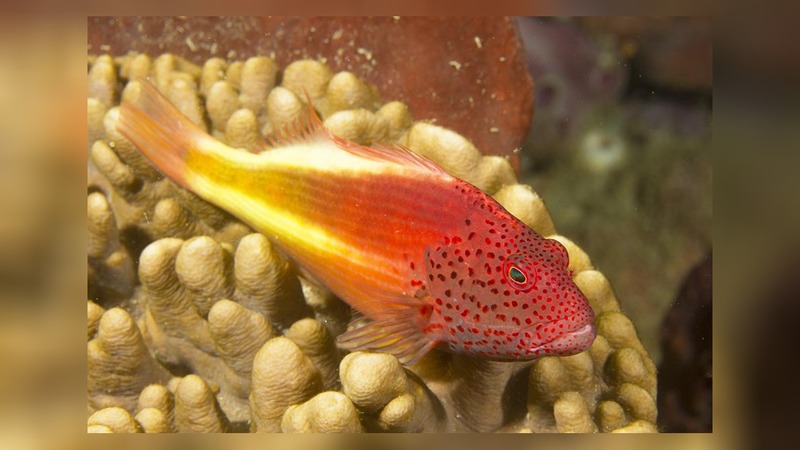 Paracirrhites forsteri also known as Freckled Hawkfish, Forster's Hawkfish or Blackside Hawkfish, undergoes color changes several times during its lifetime. 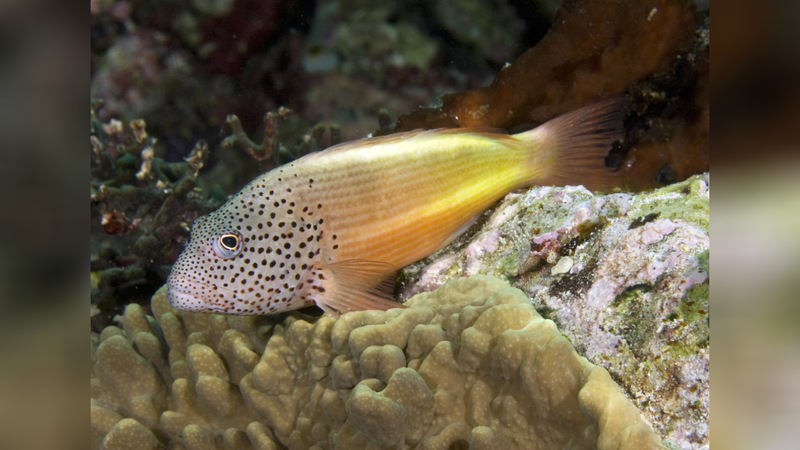 As a juvenile, it is burgundy-red with a yellow tail. As an adult, it may be pink, brown, or an olive color. 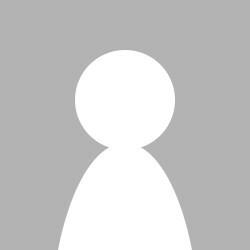 The black or red freckles on the face are constant throughout its lifetime. 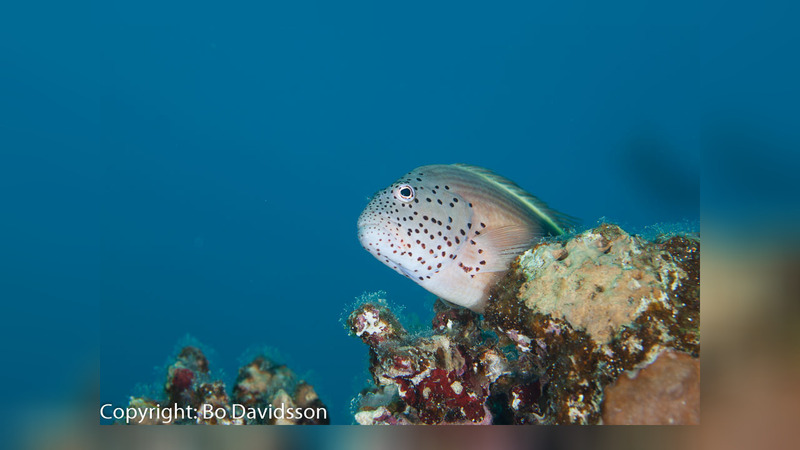 It hunts crustaceans and smaller fish, and it should be the last fish introduced to a semi-aggressive to aggressive community of fish. 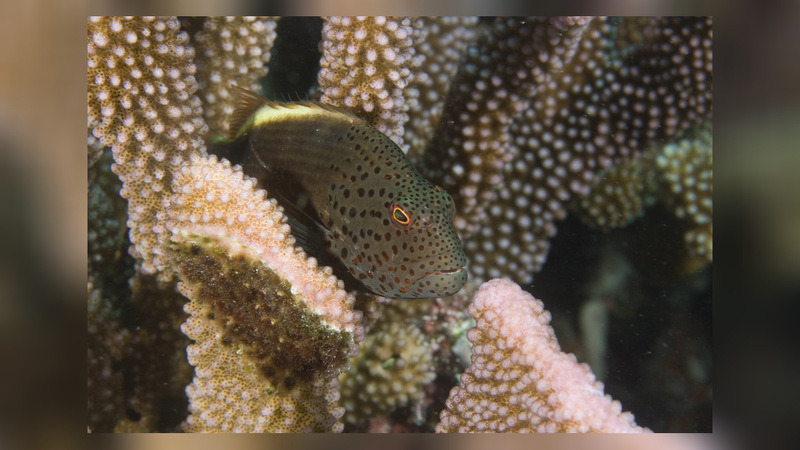 It becomes very territorial and will harass new additions including other hawkfish and fish that are much larger than itself.